CSMA Club – Scalextric Competition Slotstox: One out, all out! 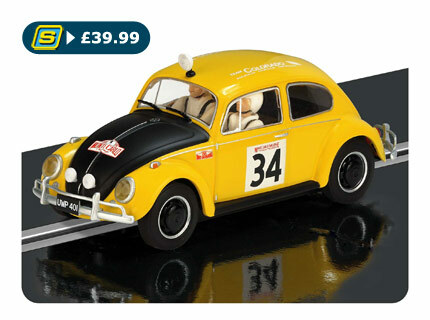 Six new cars from Scalextric and a short survey. 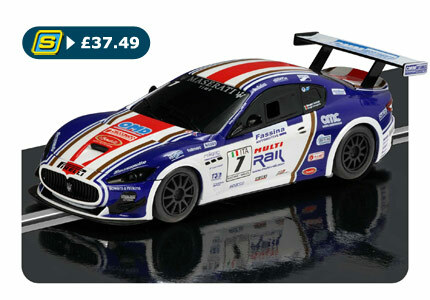 Scalextric are delighted to present six brand new cars. 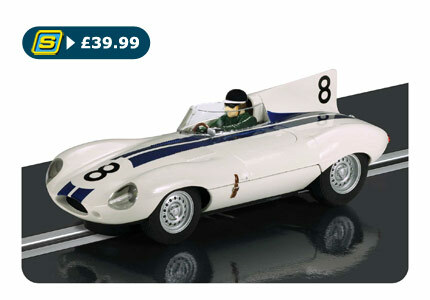 These include their newly tooled Maserati Trofeo, a stunning Jimmy McRae MG Metro 6R4 and a Jaguar D-Type as driven by the legendary Mike Hawthorn. Italian Giorgio Sernagiotto finished joint 3rd in the 2012 Maserati Trofeo World Championship. Following the success of the 2012 season, the series returned in 2013 on the most prestigious circuits around the world. 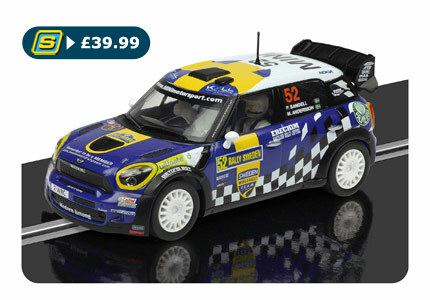 Swedish driver Patrik Sandell drove this Sweden World Rally Team MINI in the 2012 WRC Rally Sweden achieving 24th place. Jimmy McRae was a highly successful driver in the British Rally Championship, winning the title five times in 1981, 1982, 1984, 1987 and 1988. He was the runner-up in the 1982 European Rally Championship and his highest placing in the World Rally Championship was fifteenth in 1983. McRae is the father of World Rally Championship driver Alister McRae, and of the late 1995 World Rally Champion Colin McRae. This car was built at Dan Gurney’s AAR shop and was finished at Ray Caldwell’s Autodynamics. It was a factory Dodge entry with Sam Posey as the driver. The car’s best finishes were all third places; at Lime Rock, Road America and Kent race circuits. It finished fourth in points for the 1970 season. The 12 hour race at Sebring remains one of the early spring races in the sports car calendar which prepares cars and teams for the Le Mans 24 hour race in the summer. This model is the Briggs Cunningham Jaguar USA entry for the 1956 race. The No.8 car set the fastest lap with Mike Hawthorn at the wheel. 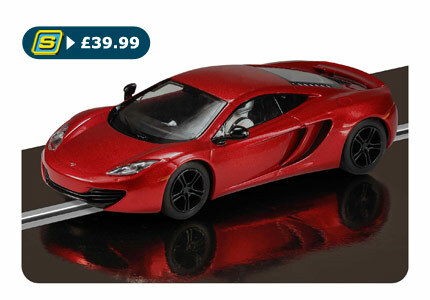 The McLaren MP4‐12C is a sports car designed and manufactured by McLaren Automotive. It is the first production car wholly designed and built by McLaren since the McLaren F1 in 1998. The MP4‐12C is considered one of the most distinguished sports cars available. 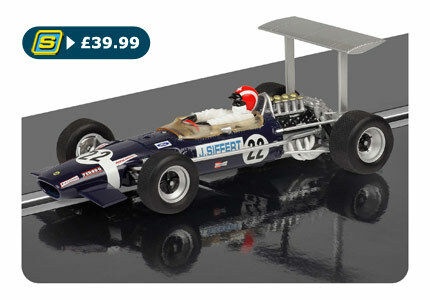 Jo Siffert secured victory at the 1968 British Grand Prix at Brand Hatch in this high-wing Lotus 49B-Ford. This was Siffert’s first Formula One victory, and the first win by a Swiss driver. In 1966 Bob Beales purchased the vehicle from the Bengry dealership and from then on UWP 401 was then used regularly in many types of club motorsport including rally, autotest, autocross, production car trials and economy events. The car is still rallied today. 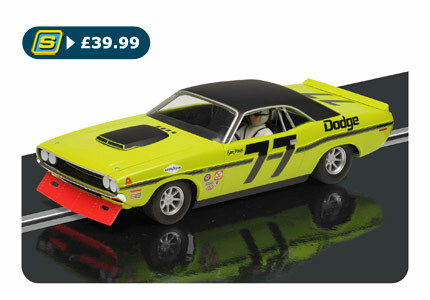 One Response to Six new cars from Scalextric and a short survey. Just too say after switching from 00 gauge railways too 1/32 slot cars I am totally smitten, I love the magazine but need more input. 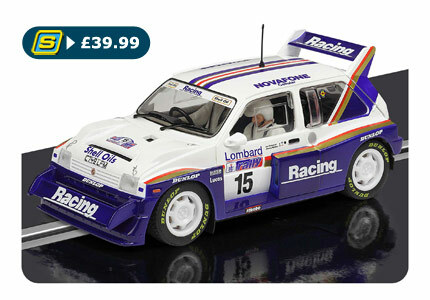 The hobby itself is great and I did not know I knew soooo much more about motor racing. I am currently collecting various cars but the thing for me is the MotoGp bikes as I am a biker…..